This upgrade is the writing supplement upgrade for Advanced U.S. History B. 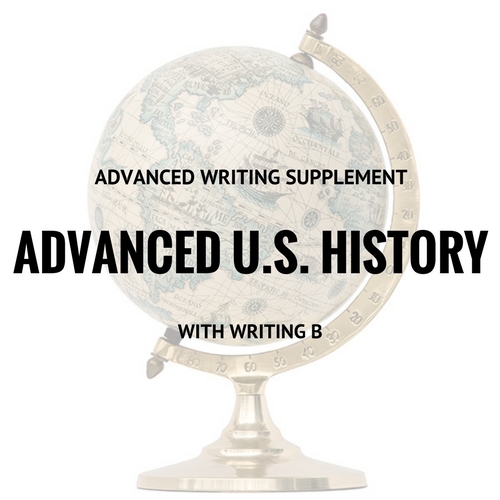 By adding this upgrade to Advanced U.S. History B, your student will complete two additional essay assignments across the 16-week course. Categories: History/Social Science, Teen Focus, Writing Supplement, Advanced, Spring 2018, Spring 2019. Tag: supplement. Writing supplements for advanced courses add two writing assignments to the student’s main course. The objectives of this supplement are to provide opportunities to explore ideas from the class in greater depth, to develop skills in literary and historical analysis, and to develop skills used in college-level analytical writing. Essays will be written in a formal, academic format. 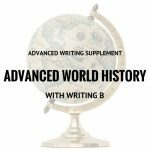 Students should have solid writing mechanics (grammar, punctuation, paragraph and essay organization) already in place before add the writing supplement to advanced literature and history courses. The focus of instructor feedback will be on the depth and quality of analysis, less on direct writing instruction. Students in the advanced writing supplement will not have assignments each week, but will be expected to learn self-pacing in advance of a deadline. Through the Moodle classroom, the instructor will provide guidance on developing an effective thesis, supporting the thesis, researching a topic and choosing primary and secondary sources, proofreading, and revision. Essays will range from 1000-2000 words. Assigned topics will be at the advanced high school/early college level. Each of the essays will require a first draft and a final draft at minimum. Essays submitted after the deadline (without prior discussion with the instructor) may not receive a thorough review. Most students report spending approximately 1 extra hour per week on homework outside of the webinar with the writing add-on for Advanced U.S. History B. As with other Online G3 classes, advanced history classes will have a significant writing component (i.e., discussion forums and reading-related assignments) so writing students should be prepared for a heavier workload with the supplement. 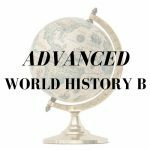 Concurrent enrollment in Advanced U.S. History B. Students should have previous exposure to essay writing and should have completed one of the standard Online G3 writing supplements, the Writing with Sources course, or the equivalent.